The Flash Season 3 Episode 5 (S3E5) Spoilers, Air Date, Promo, Synopsis 3×5 Updates: Harrison Wells of Earth-2 returned to his home in the ep 4. But the team Flash realized that they need one ‘Harrison’ permanently within their team to help them out in their endeavors. Thus, they recruited one from Earth-19. But, this new version of Harry, in his first look as seen in the below trailer, seems to have some sinister motivations to help the Scarlet Speedster. The Flashpoint has many more changes, and one of them was that the Reverse-Flash came into being once again. It will be interesting to find out what this Harrison wants and what is he hiding and what the hell is that monster stomping around in the Central City? We can just wait and watch until the next episode air. Until then, we have the official synopsis regarding the chapter. Check: Scorpion Season 3 Episode 6. 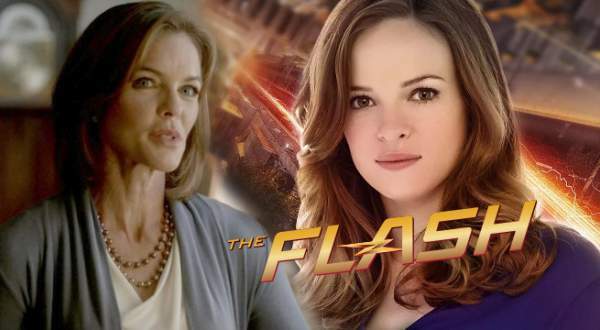 Desperate to understand what is happening to her, Caitlin (Danielle Panabaker) visits her mother, Dr. Tannhauser (guest star Susan Walters), a renowned biomedical researcher, in the hopes that her mother can provide some answers about Caitlin’s growing meta-human powers. However, when Dr. Tannhauser treats her daughter like a test subject, Caitlin grows cold and brings up past wounds causing the two to have a major blowout. Meanwhile, after a mysterious new meta-human attacks Central City, Barry (Grant Gustin) tries to convince Julian (Tom Felton) to let him assist on the case. Kim Miles directed the episode written by Zack Stentz. The second episode of season 3 of The Flash revealed that Caitlin Snow started developing meta-human powers as a result of Barry Allen changing the timeline too many times. It seems that her powers speeded up when she used on the mirror in which The Flash was caught. Caitlin may become Killer Frost in Earth-1 entirely by the episode 5 titled Monster. She will visit her mother to deal with the powers. The upcoming episode will reveal why has she been keeping a distance from her mother and how this affected her over the years. Their relationship has been teased since she met the Killer Frost of Earth-2. But, this will be the first time when she will meeting her mother, Dr. Tannhauser. Check: Supergirl Season 2 Episode 4. Caitlin’s mom is a renowned biomedical expert, and she may help her with her growing powers. She has already told that her mother is too cold to work and live with. While working out on her power problem, they will get into another fight when Caitlin feels like her mother is treating her as another test subject. It is not clear when Caitlin Snow will become an antagonist or she may be able to change the fate and become one of the new allies of Barry Allen. However, in the original comics, Killer Frost is one of the Rogues members. But, the tv series may change her character and portray her as a new ally. In the upcoming episode, Barry and team will face a new human villain, and he will look towards Julian to help him out. “The Flash” Season 3 episode 5 is to air on November 1, Tuesday at 8 pm ET on the CW network. Stay tuned to The Reporter Times for latest The Flash news.